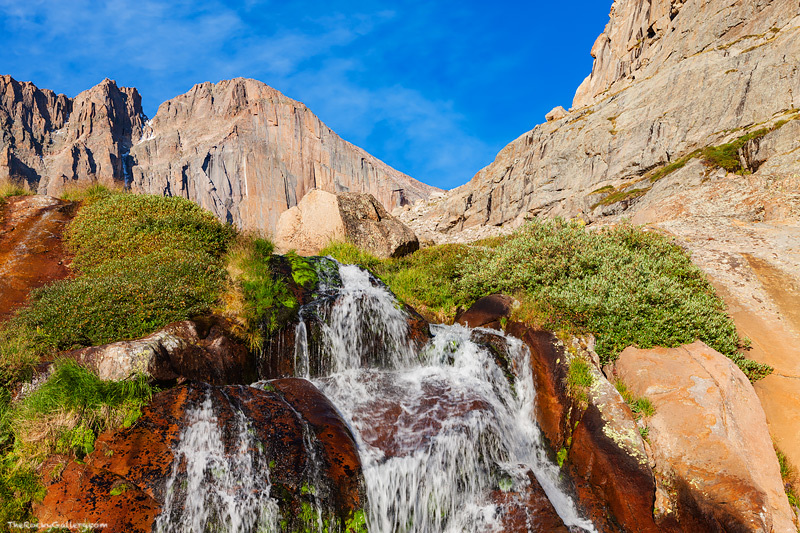 Rocky Mountain National Park's tallest peak hovers over Columbine Falls. 14,255 ft Longs Peak is Rocky Mountain National Park's highest peak as well as the most prominent mountain on Colorado's Northern Front Range. Photo © copyright by Thomas Mangan.